Residential locksmith to take care of the damaged deadbolt, broken key, or locked door. We provide same day service and will cover emergency requests 24/7. 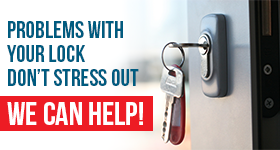 We can service high security locks, internal door locks, mailbox locks – you name it. From fixing a problem with the cylinder lock to rekeying it and duplicating a key, we are the techs for any job. Auto locksmith to replace and program the transponder key, open the trunk, unlock the door, repair the ignition, or change the locks. Our pros are updated with the newest car models and their locking systems. And they use appropriate equipment for any car lock and key service. Commercial locksmith to fix the panic bar, repair the door closer, replace the deadbolt and install access control systems. Our team can increase internal and external security, provide solutions, and handle sudden problems. Whether you want to replace cabinet locks or the front door deadbolt, the job will be performed with accuracy. When you partner up with Thornhill Locksmith, all services are provided with accuracy because all jobs are important to your security. You are welcome to send us a message requesting services or asking for our quotes. We will get back to you as soon as possible. If you are in a hurry to sort out a problem, call us. Our company will help you shortly.